Everyone in my family loves them so much! 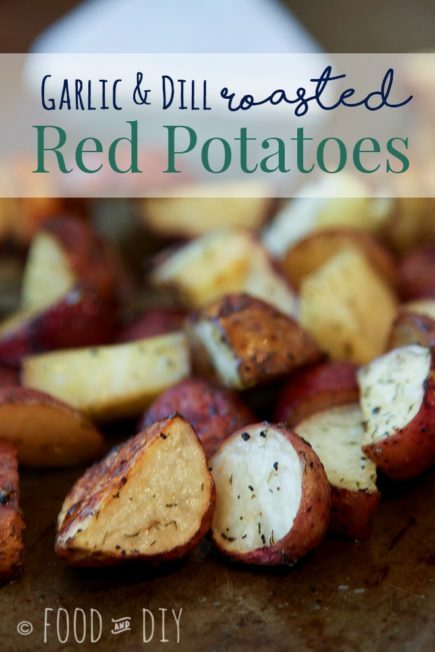 I made these with locally grown, farm fresh red potatoes that I had bought at the farmer’s market. Maybe that’s why they were so popular but either way, they were delicious!! 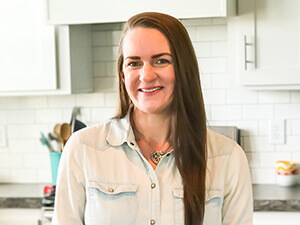 I’ve been trying to be more conscious about our food and what we’re eating and I love supporting the local farms. Plus there really is something about local, farm fresh foods tasting better. My current favorite way to cook veggies for dinner is roasting. Sure it takes a little longer than popping open a can of veggies and warming them in the microwave…. but it TASTES SO MUCH BETTER. And they are so much healthier too. At least that’s what I tell myself. Anyway, here we go. Are they beautiful?! 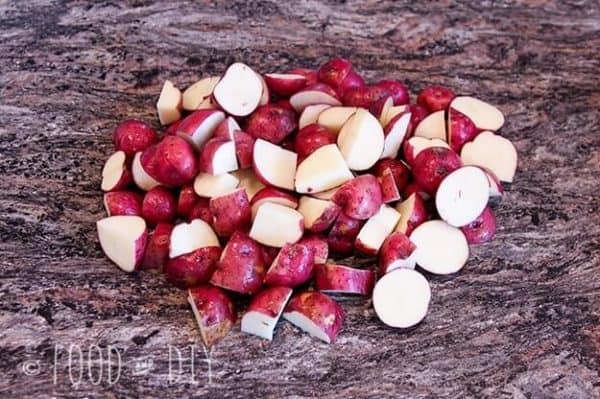 So let’s start… you need about this many red potatoes… HA! Sorry, I’m not sure how many pounds that is. I’m guessing about 3-5. Wash them off with water. Cube them into about 1 inch pieces. Exact size isn’t so much a big deal as uniformity. Try to make them all close to the same size. Larger pieces will take longer to cook, smaller pieces are faster. Drizzle with olive oil. Maybe a couple of tsp. Don’t put too much oil though, that will make them greasy. 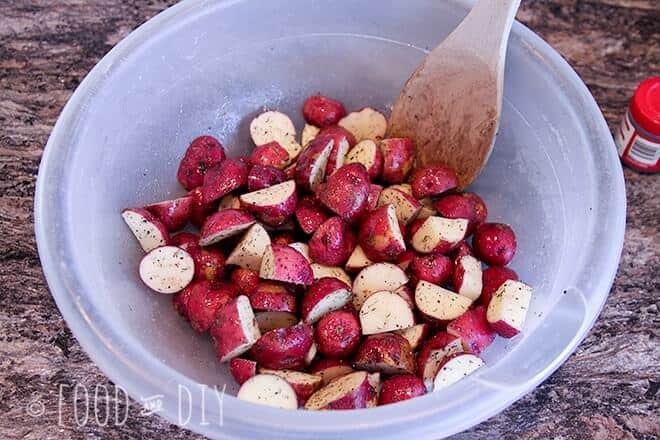 Stir the potatoes, seasoning, and oil around to coat the potatoes evenly. 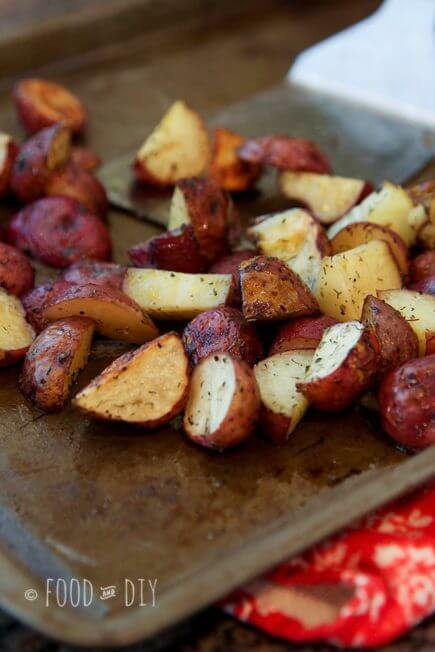 Spread the potatoes out on a baking sheet in one layer. I always lightly oil my pan also but if your potatoes have enough oil from tossing then you don’t really need to do this. Bake at 375 for 20 minutes, stir/flip and bake for another 20 minutes. And here you are. Perfection. Serve these babies up with anything. 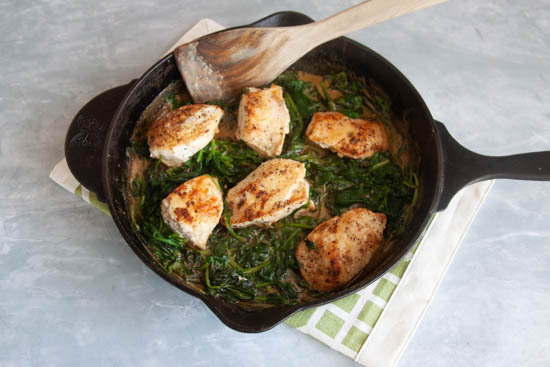 I served mine with bbq pork chops but they’d also be great with Pork Tenderloin or Rosemary Chicken Tenders too! 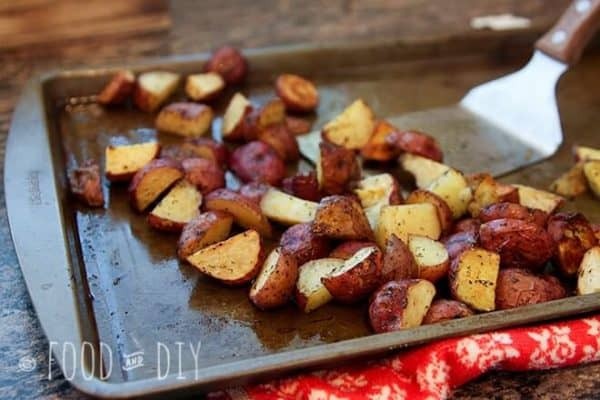 Do you love roasted red potatoes? 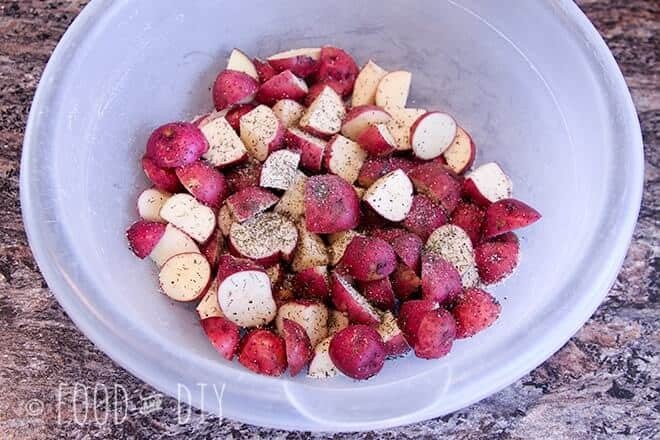 What is your favorite seasoning to put on them? Tell me in the comments below ↓. These Garlic & Dill Roasted Red Peppers are a cinch to make and delicious to boot, I've had so many people asking me how to make these! 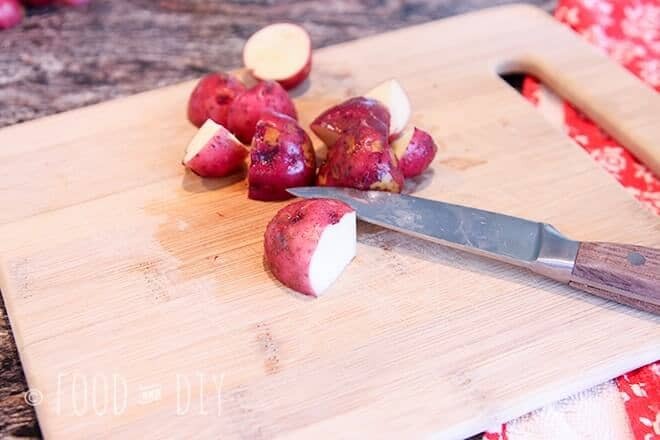 Wash the potatoes with water. Cube into 1 inch pieces. 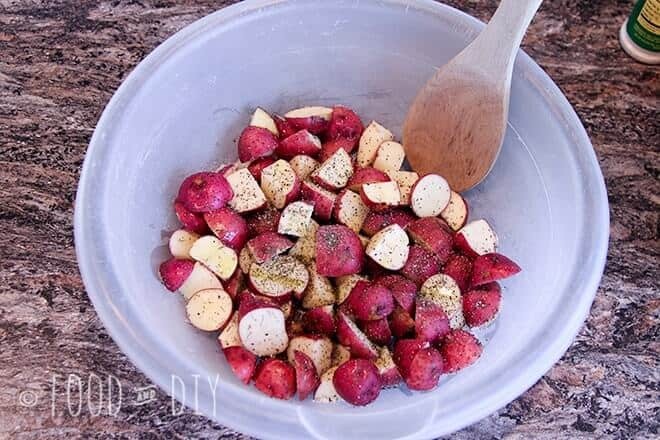 Add potatoes to a large bowl, add garlic powder, dill, salt & pepper, and 1 tsp of olive oil. 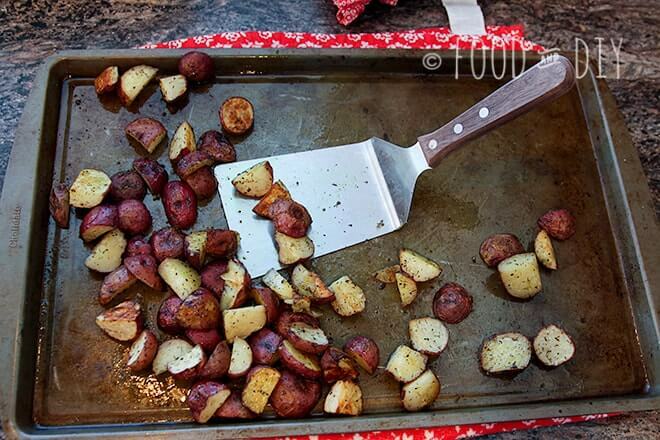 Toss to coat the potatoes evenly. 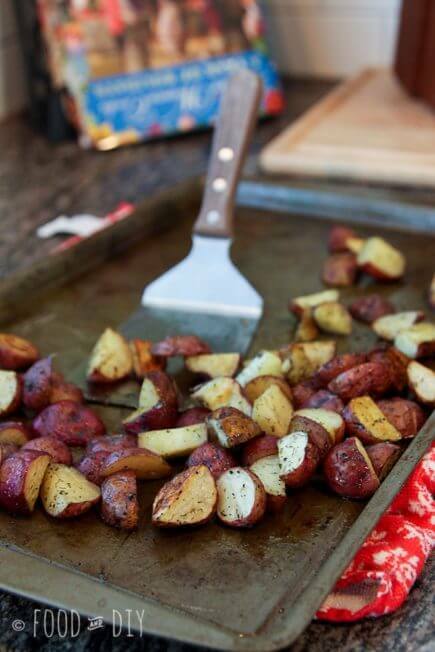 Spread onto a baking sheet in one layer. 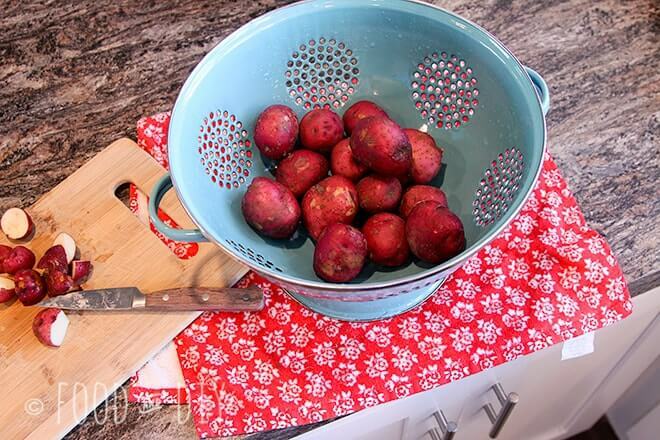 Bake for 20 minutes, stir/flip potatoes and bake for another 20 minutes. 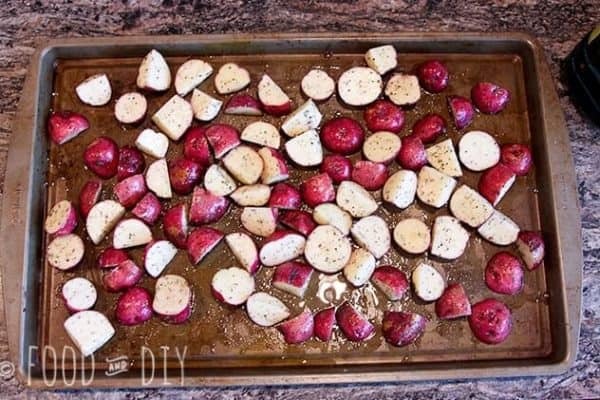 Remove from oven when the potatoes are golden brown and tender. 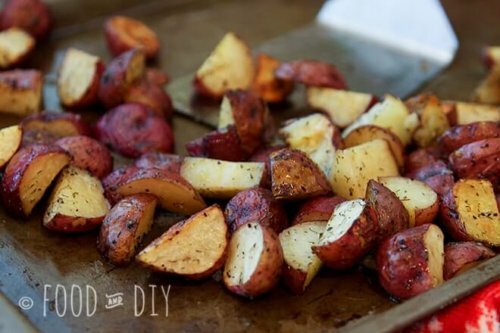 These potatoes look perfectly roasted and delicious! I’ve never met a roasted vegetable I didn’t love! Have you tried carrots with thyme? Delicious. I haven’t tried carrots with thyme but I have done carrots with just salt & pepper and I LOVE them. I’m not a big carrot fan but roasting them? YES PLEASE!! !